Do you have an embarrassing literary secret? I could rarely get past the first two chapters. Now that I’m older and revisiting some of the “greats,” my experience of so-called modernism is different, but not entirely. But my overall experience ended up being the same as it was when I read his novel The Sound and the Fury: there are passages of brilliance alongside passages that strike me as incoherent (or at least thoroughly confusing and impossible to follow). There are scenes that move me profoundly. But by the time I finish the book, I feel let down. Why did it end there and not a hundred pages earlier? Or a hundred pages later? I don’t experience an integral whole. It’s just like dipping in and out of a great man’s mind — complete with liberal use (or illiberal use) of the dreaded N-word. Am I still too immature for modernism? If you think I’m missing the point, please feel free to say so. 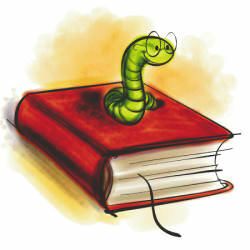 Or if you have any of your own literary bugaboos, let us know. I’ll ask this question again tomorrow night at the Bookworm Hangout: bookworms.liberty.me at 8 PM ET every Wednesday. All are welcome. For me, the key question would be: What was the theme(s) that Faulkner (and any great author) was trying to explore in his/her work? Once you answer that question, you can view the text through that lens to determine whether he or she succeeded in the endeavor. My embarrassing secret: I tried so hard to read “Atlas Shrugged”. I HATED it. I slogged through half the book and finally gave up. Everybody RAVES. I mean, the writing was wooden, the characters 2 dimensional, and I felt like I was being beaten over the head with a message I already got. Actually, that’s a very valid interpretation. Once you understand Rand’s philosophy, you don’t really need to continue reading her fiction. I haven’t tried Atlas Shrugged, but your description, Toni, perfectly matches my experience of The Fountain Head. I once thought that creating a non-prescription sleep aide called “Dickens PM” could be a viable business plan. I might still think that. I loved the Fountainhead. But I read it when I was about 15-16 and at peak teenage angst. It maps so perfectly onto the particular brand of ‘I’m so misunderstood’ that many creative people feel in their teenage years. I think this is what makes that book stand out. I tried to re-read it but now it strikes me as juvenile and 2-dimensional as others have said. But I will always respect it as an homage to creative integrity. For all her looniness, Rand really could make a strong story about integrity. Atlas I never really liked. I did read it… but damn was it a chore. I will never understand the ravings about it. I flirted with Objectivism briefly but can’t stand the stuff now. The last time that happened was at the end of ’93 by Victor Hugo about 6 years ago. And now I can add another to my list of teary confessions. I just finished listening to a great audiobook version of Stranger in a Strange Land, one of my favorite novels by Robert A. Heinlein. I teared up at the end. I don’t recall doing that on any previous reading. It could have been the art of the voice actor, but I suspect it’s a novel that resonates differently at different ages. Oh, I think I can top that, Zach! I cried while reading Bridges of Madison County. Harlan Ellison, whose stuff I used to love much more than I do now, talked about living one’s live to be unblackmailable. I think this thread serves that purpose. The last book that made me cry was “The Art of Racing in The Rain” by Garth Stein. And that was just the first chapter! It got better. I love dogs and I love car racing so I totally loved the book. One of my personal all time favorites. I posted a version of this confession to a Facebook announcement of the Bookworm Hangout, where Jeff Riggenbach replies re Light in August and “high modernism.” Just FYI. I have a B.A. in English. In several of my classes in college we were assigned “The Dead” by James Joyce. My professors and classmates raved over the story, but I did not understand what was so great about it. I read Anthem by Ayn Rand in high school. My teacher suggested it for an essay contest. I never entered. I started writing but I did not enjoy the book. I wasn’t a libertarian back then so it didn’t resonate with me in any way. My secret shame: I can’t bring myself to read fiction. If I can concoct an allegorical meaning to the fiction, I can sort of force myself to read it by pretending the author is imparting factual information to me in a clever way. Other than that, I just don’t have anytime to read fiction anymore than I do to watch soap operas on television. That is my terrible secret. Sean, I read less and less fiction. What nonfiction do you read? I have got into books about investing which started a long time ago with “the Zurich Axioms”, “Investing for Dummies”, and more recently books by Schiff, Casey, Rogers, etc. Books by conservatives like Sowell and Paul. Books about history have a special shelf. I read a lot of those. OK, so now I want to know about your history shelf. I have one too, although mine is just a virtual shelf in my Kindle library. History of the Ancient Ryedales- written by an ancient relative about the history of my family in the “new world” based on local records. Albion’s Seed- a history about separate cultural migrations from England to the eastern seaboard. Awesome. Cracker Culture- a history of the importation of Scots-Irish people to the South. Cracker: the Cracker Culture in Florida History- a truck stop guide to cracker food and old home-sites of the Deep South. Just what I’m feeling tonight! Sean, I think I sense a theme! I may look into Albion’s Seed. Tom Woods mentions it in his Politically Incorrect Guide to American History. BK, I’m thrilled to hear that Tom Woods has mentioned <i>Albion’s Seed</i> however I’m confused why it wouldn’t be considered “PC”. I like history a lot but cultural and ethnographic studies are some of my favorites. There are some confessions I know haven’t made it to this thread. Apparently it’s easier to confess some things in the Bookworm Hangout than it is to confess them here in The Book Scene. I’ve read all the Harry Potter books!!! My shame (see below) was similar, and I’ve read them all, too. Which one is your favorite? While we wait to learn John’s favorite Harry Potter novel, I’ll say that I found each book better than the previous one. I enjoyed book 1, but by books 6 and 7, I was finding the story quite moving, sometimes even profound. I have to agree with B.K. They got better and better. I liked the newness of this fantasy world in the early books. The dread just built and built as the characters grew up. Really a well done story. I was a huge Hobbit and Lord of the Rings fan when I was young so I was naturally drawn to these books even if they were for “kids”. Totally, once I saw Catching Fire the next day I read The Mockingjay. I have always been a fan of young adult fiction, but I try to choose those books wisely or else I will lose a week an a half to books in the genre. They are really engaging. I’m 58 and I totally loved the Hunger Games series. Then for Christmas, my sister-in-law gave me ‘Divergent’, which I hadn’t heard of before. I read it, and it was okay, but it seemed like a shallow imitation of HG. Not horrible, but way too predictable. Oh, that’s definitely accurate. I liked the idea of factions each being correlated with an overindulgence in one value and ignorant of the rest – in theory – but it wasn’t well written and the plot development wasn’t very impressive. It was actually written more like a screenplay would be than a novel. I never finished the series. I read part of the next book and hated it – and I usually finish fiction even when it’s terrible. Courtney, what are some titles? Does Hunger Games fit your description? Of course! Hunger Games is probably the epitome of dystopian fiction right now. The correlation of the Capitol and the decline of the Roman Empire was intriguing to me, especially because I had been studying Roman history at the time I first read it. The Matched trilogy was fairly interesting. It was more in the vein of Brave New World (one of my favorites!). It features children that grow up in a Society that destroys all culture except “approved culture” – so basically the only choice they have is 100 approved books, 100 songs, 100 films, and so on. It’s the idea that if you remove choice completely people will riot, but if you give them just a few options they can be conformed to a mold. There’s more to it, but though YA, a good read. One of the first dystopians I read was when I was… oh, my, probably 9 years old – called the Shadow Children series by Margaret Peterson Haddix. It’s a society where it’s illegal to have more than 2 children, but many people do so in secret, and what it’s like to be a child that isn’t supposed to exist. Those books are a super easy read because they’re basically chapter books, but they ask amazing questions about intrinsic rights and what it takes to make your voice heard. Those kinds of books, that I can read easily and relax with while I’m working on other material that’s harder to digest, are just fun.